Your pipes burst? Your furnace won't heat your house? Don't panic, we can help! We are available anytime! Renovating your bathroom or kitchen? Need a new sink installed? We can do any plumbing project! Keep your home just the temperature you like with our HVAC services. We do heating and air conditioning! Our technicians are always professional and reliable. Expect quality workmanship and professional attitude with Mac&Sons. Don't get clogged up! If your drains or sewer need maintenance or repair, let us fix that! Mac & Sons brings some of the top experts for your Plumbing and HVAC service needs. Whatever plumbing or heating project you have, we can help. You want that new sink in the bathroom? We can install it. Do you need a garage heater to keep your work space comfortable? We can do that too. Your furnace isn't working properly? We are ready to fix it anytime, 24/7. Call Mac & Sons if you want the job done right. Click below to learn more about our services. We will install, repair, maintain, or replace your plumbing. Our experience will save you time and money! Our experienced HVAC technicians are ready to help you with your residential heating, ventilation, and air conditioning. When disaster strikes, don't panic, just call us. Our technicians are ready to serve you whenever you need. 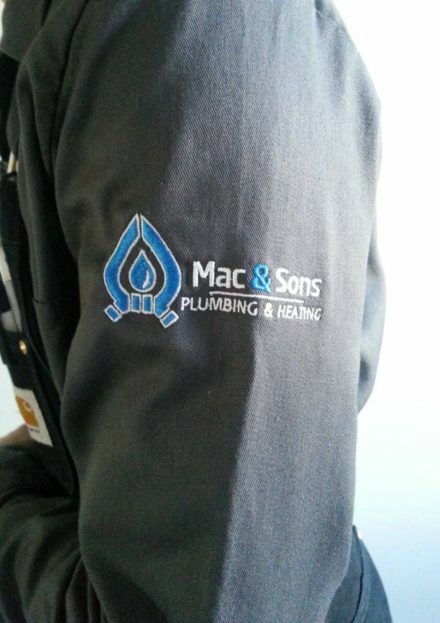 When you call Mac & Sons for your Plumbing and HVAC needs, you can expect nothing but the best. Our Certified Journeyman plumbers, expert gasfitters, and HVAC professionals will be punctual, polite, knowledgeable, and capable. We will leave your home in pristine condition, every time. As a family business, we understand the meaning and value your home has for you and yours. You can trust us to care for your home just as well as we do for ours. If you need work done, make us your first choice! Call, email, or click the link to send us a message!